5-Turbine Wind Farm, Ballyclare, Co. Antrim - Completion of baseline surface water assessment and construction-phase water quality monitoring programme. 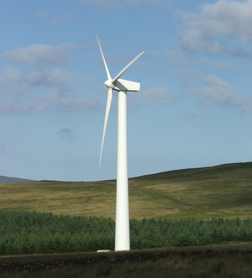 10-Turbine Wind Farm, Clogh Mills, Co. Antrim - Monitoring of environmental emissions during two phases of construction. Proposed 17-Turbine Wind Farm, Co. Londonderry - Hydrological and hydrogeological assessment of large wind farm site in support of a planning application. 10-Turbine Wind Farm, Ballygawley, Co. Tyrone - Implementation of baseline surface water and groundwater assessment and construction-phase water quality monitoring programme.